HARLINGEN — A man found himself without cash and, perhaps, a little embarrassed after apparently being set up to be robbed on Tuesday. A man called Harlingen police Tuesday afternoon to tell them he had been robbed at the 800 block of North 27th Street. He had been told to go to the location after agreeing to meet a girl with whom he had been communicating on a social media site. 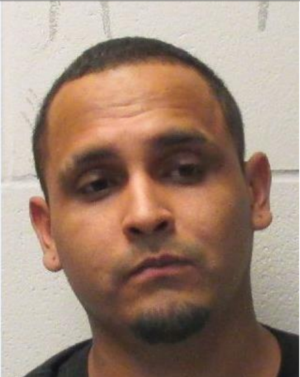 When the man arrived, instead of meeting a woman, he was approached by a man, later identified as 29-year-old Abel Turrubiates Jr., wielding a knife. According to police, Turrubiates told the victim to give up his money, which he did, fearing for his life. Turrubiates was later arrested and is currently charged with one count of aggravated robbery and a bond of $100,000.